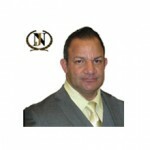 Carlos started working at North Jersey Public Adjusters in 1987. He began his career as an inventory specialist and office staff member. Through years of dedication and hard work, Carlos has advanced himself to be one of the most respected public adjusters in the industry. He has handled hundreds of claims both homeowners and commercial. Carlos has served in his local community planning board. Throughout the years Carlos has been an important member of our team and is at the forefront of our public relations efforts.